People run for different reasons. I do it for the rewards. I run because I want to eat and drink. I run because I don’t want to feel guilty when I take a piece of cake with my coffee on a Saturday afternoon. This is particularly useful given the fika culture in Sweden and the number of cafés I visit every week. 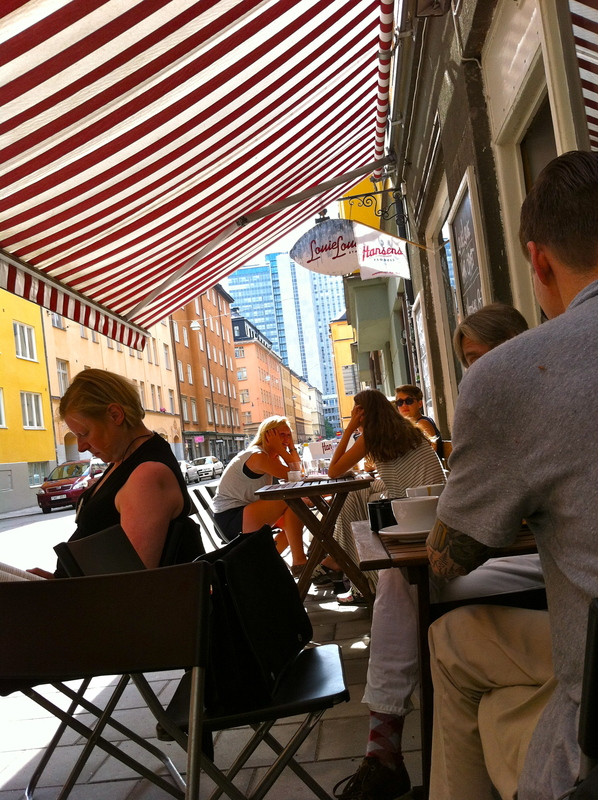 I had made plans to meet with friends at 17:00 at Mosebacke today, so I decided to stay in Södermalm for my afternoon coffee. I knew exactly where I wanted to go. I wanted to go to that place in Södermalm which I had seen so many times and never managed to go because it was always full. And there is a reason why it is always full. 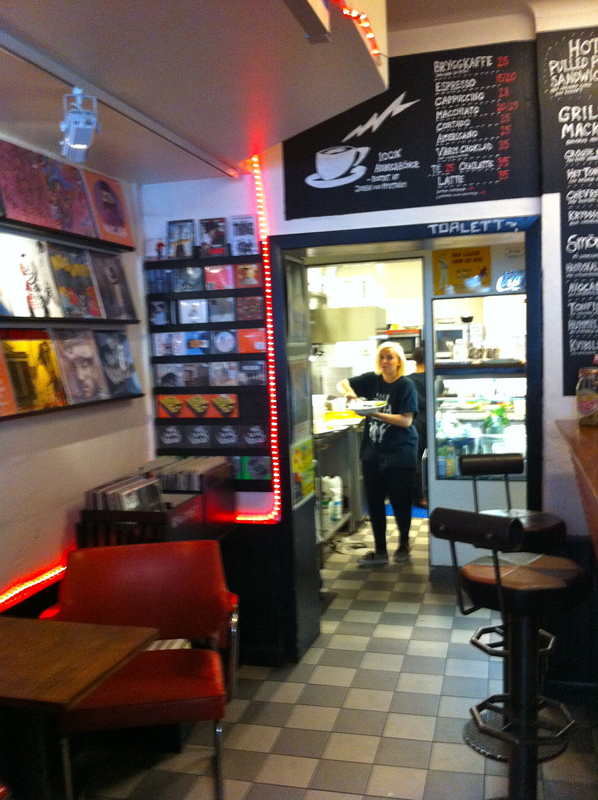 That café is one of the coolest cafés in Stockholm: Louie Louie. 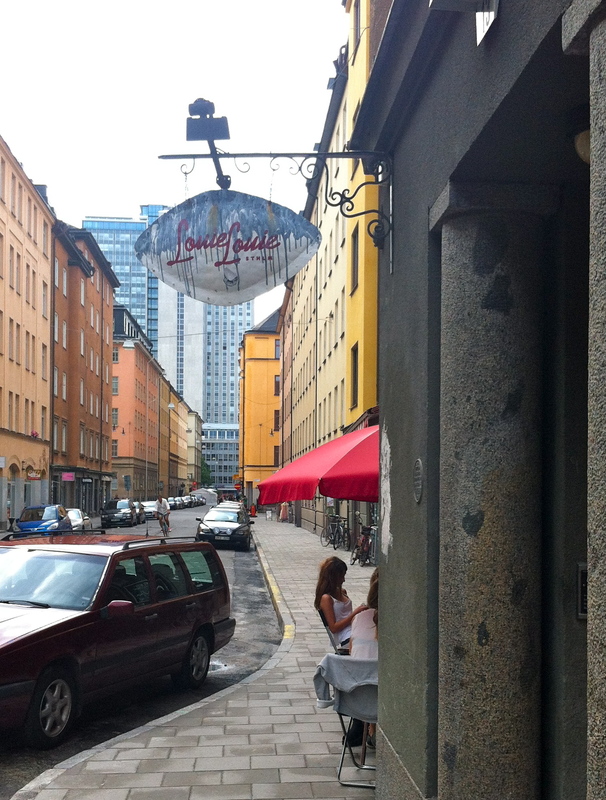 As I was approaching Louie Louie from Nytorget, I could see that it would be a struggle to get a table outside. But right there in the corner, there was a table waiting for me! I looked around and did not see any potential customers on the streets so I went inside, confident that I would have enough time to order and go back to the corner table. 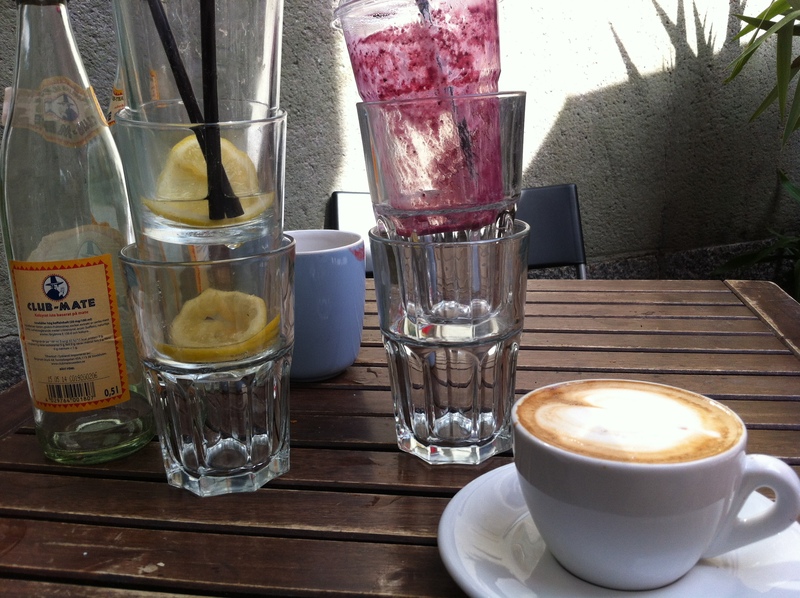 And I had… Thankfully the waitress quickly came to clean my table! A few minutes later… with kidture! 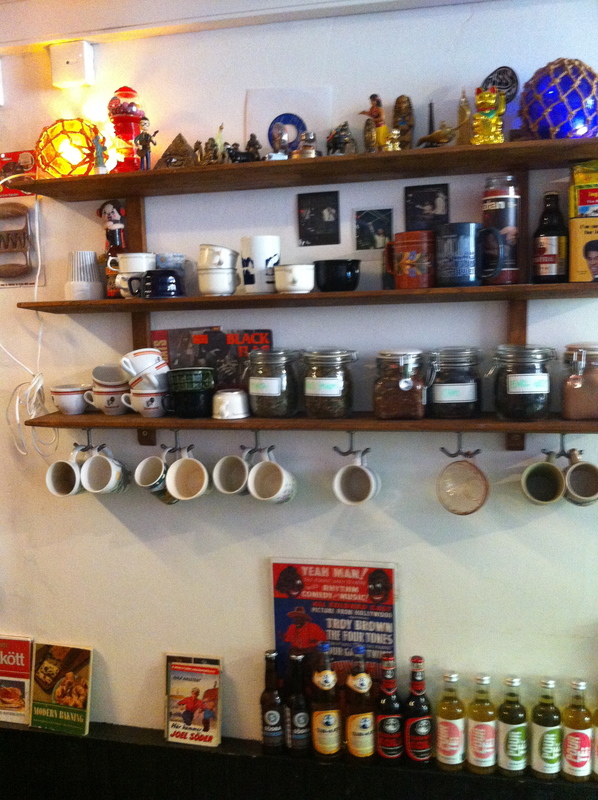 Louie Louie is a perfect urban café. Right in the heart of SoFo but far enough from Nytorget to avoid the tourists and Stockholmers from outside of Södermalm. I can also easily imagine myself at Louie Louie inside on a cold winter morning. 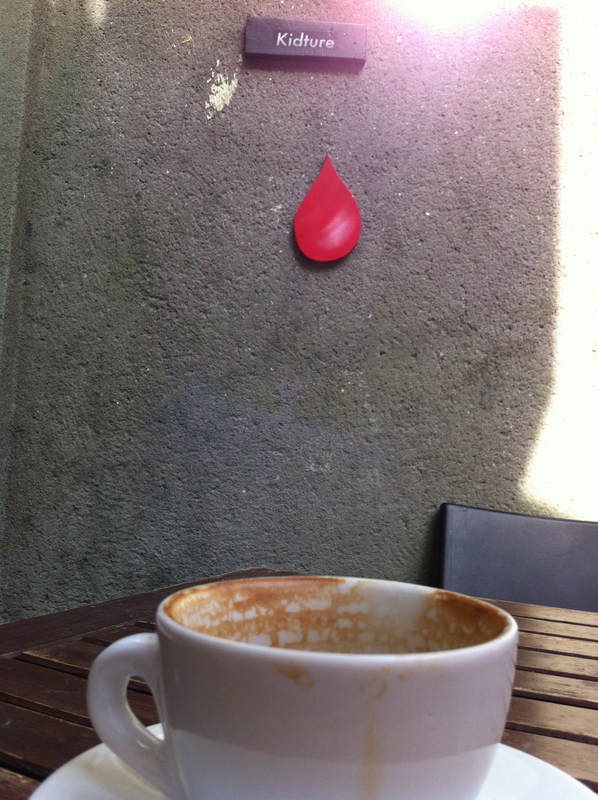 The cappuccino was really good. 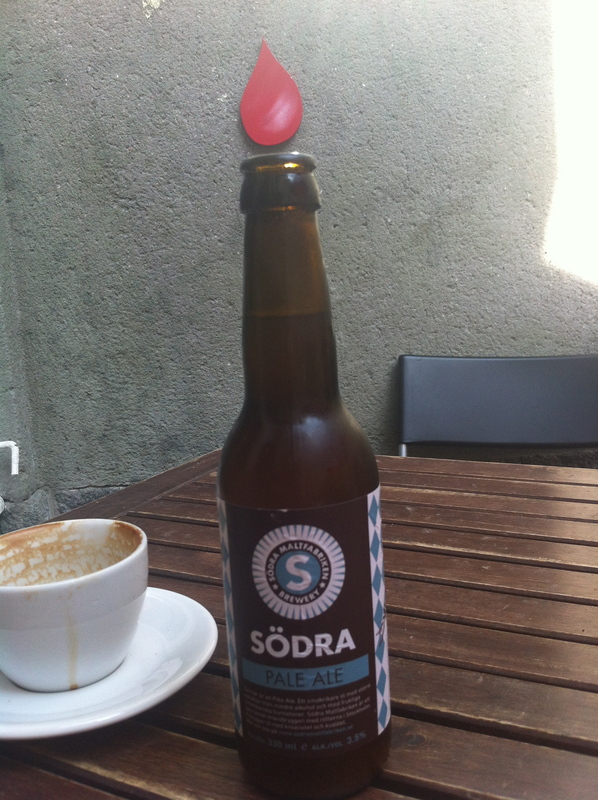 However, since today was by far the hottest day of the summer in Stockholm, I needed something more refreshing. And as you can see from the picture above, Louie Louie happens to have beer. And the Södra one on top of it. How appropriate for a hot Södermalm afternoon! While this was a light beer (probably the only kind that Louie Louie can serve), it hit the right spot. First, it helped dealing with the heat. It was also more appropriate to accompany me in my thoughts. Long distance relationships are never easy. While I shouldn’t complain too much – after all we manage to see each other more or less every month – there are days when I find it more difficult than others. This has been the case in the last few days when I could feel the distance hitting me stronger than usual. I probably felt it more than usual because I had the feeling of doing everything I could to get closer and yet the result was totally different. Everybody needs its space and time. I get that. Most of the time. Obviously I feel less comfortable in that situation when the distance is also a question of geography. Thankfully we will see each other soon for three weeks of holidays… By the time I was done with my light beer, I was feeling light again, knowing for sure that everything would be allright. It was simply a question of a few days. It was time to leave. I had friends to meet. And Louie Louie was closing anyway. That is a bit unfortunate as I am sure that people would love to hang out there at night too. But that would probably mean getting an alcohol permit and, well, this is getting complicated. Oh, and Louie Louie is also a record shop (check out the 4th picture). That’s pretty cool. Louie Louie also has a great menu. And apparently it offers a wonderful burger on Mondays. Now, with the opening hours and my working hours, this could be a challenge. I may have to take a Monday off sooner than later! I love Louie Louie. Love coming there for breakfasts on weekends. Do you go for the waffles? Are they good?